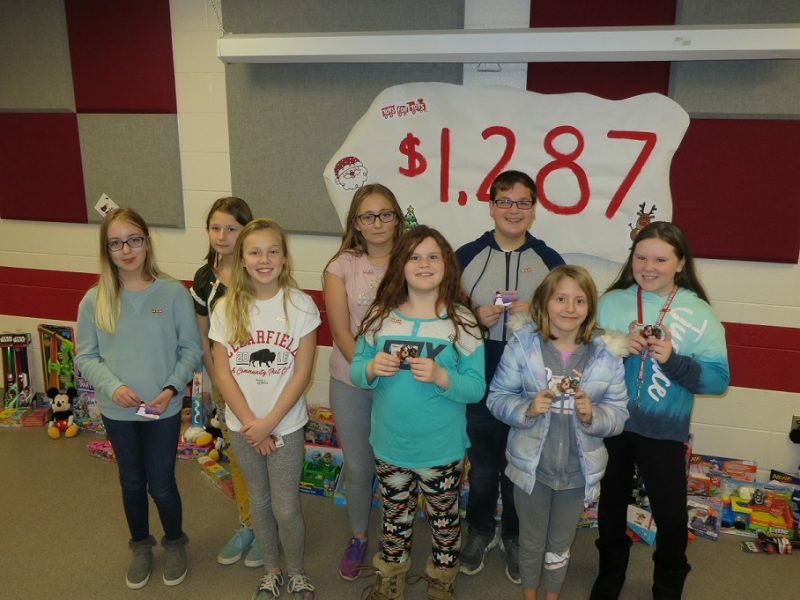 CLEARFIELD – Sixth-graders at the Clearfield Area Elementary School joined together to engage in a friendly boys-versus-girls competition to raise funds for Toys for Tots. 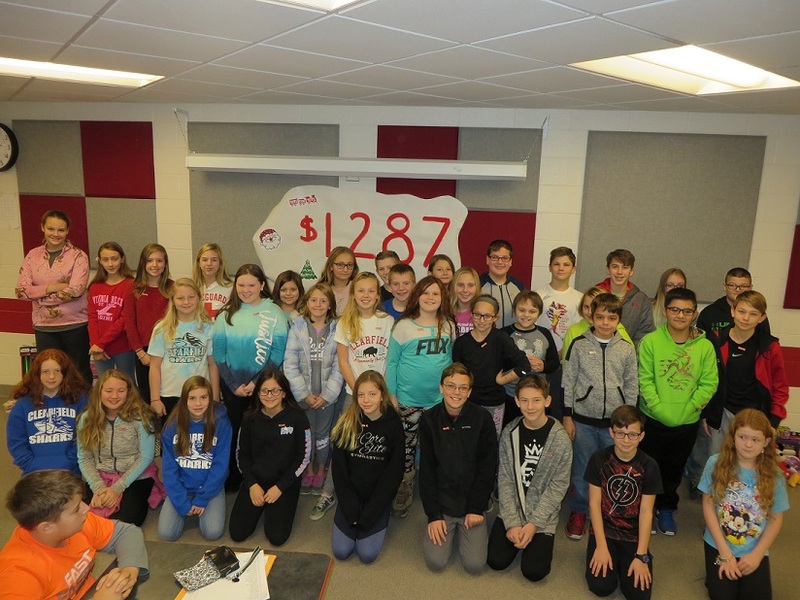 The girls won the competition and collectively they raised over $1,287. Also, the top-collecting students received a golden Toys for Tots pin in a total reveal ceremony. “Looking at how much money we raised makes me very happy. I’m happy that some kids can have a Christmas like we do,” said Isaiah Snyder, sixth-grade student and top collector.